It looks like this year is the year of having all of my farm dreams come true. I’m getting to learn quite a bit about small and large scale farming, and with every farm visit, or new crop that I plant in the community garden, I’m in awe at what can come from a seed, or a crown. Especially asparagus. Which is why I jumped at the chance to attend an asparagus farm tour. Before we go any further, did you know that it grows straight up from the ground, and after a while the roots spread so far, that fields have to be abandoned, tilled over and then replanted, because the work to pick them gets a bit more difficult than it should be. I can see how it would be easy to decide to till up an entire field rather than stretch to pick it. 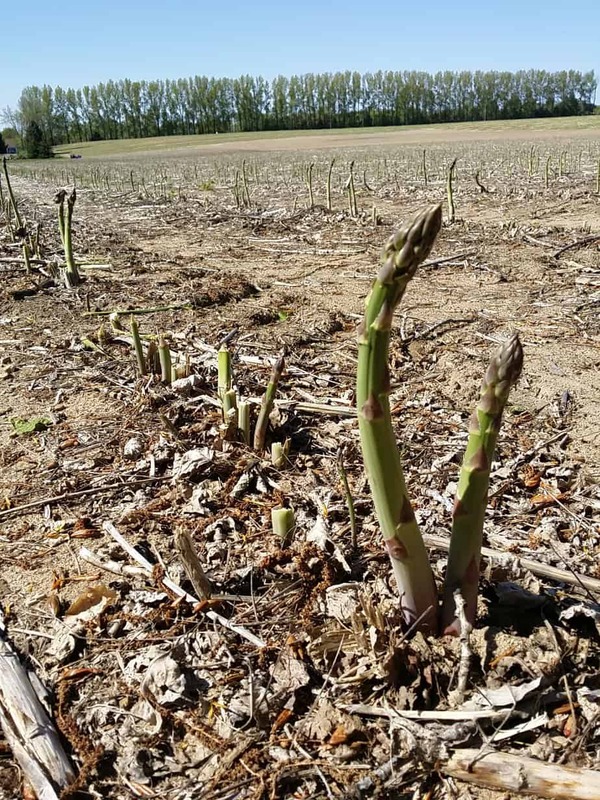 Anyhoo, I was invited by Michingan Asparagus to come and tour an asparagus farm, packing plant, and eat some yummy asparagus based recipes that had me dreaming of getting back into my kitchen to share with you all. 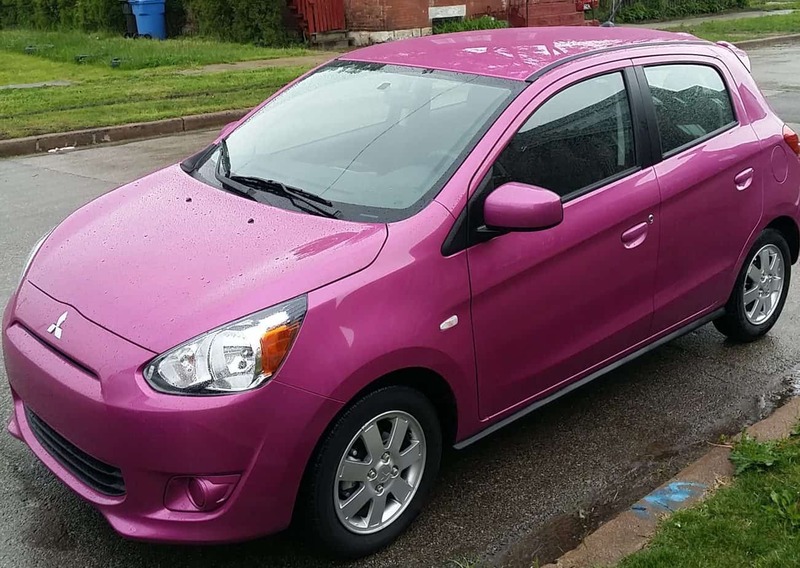 Driving up to Michigan, Grand Rapids to be exact, was super easy, because I got to test the Mistubishi Mirage in an AWESOME color (it’s lovingly referred to as the Easter Bunny car by some folks I know.) with even awesomer gas mileage. 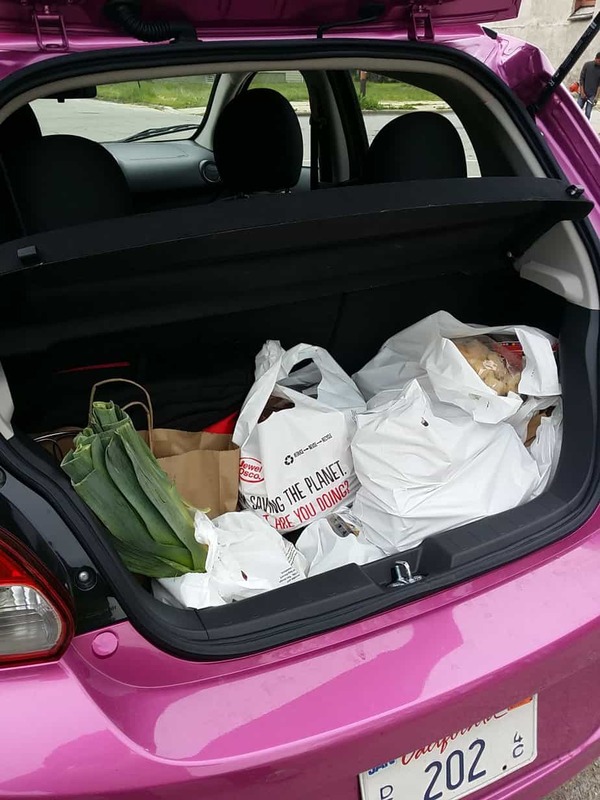 It only cost $16 to fill the gas tank up, so I had no qualms about filling that trunk up with good food and spoils from Target. Don’t worry, I picked asparagus up to cook later on my way back home. Just a note, this is great car for beginning drivers. 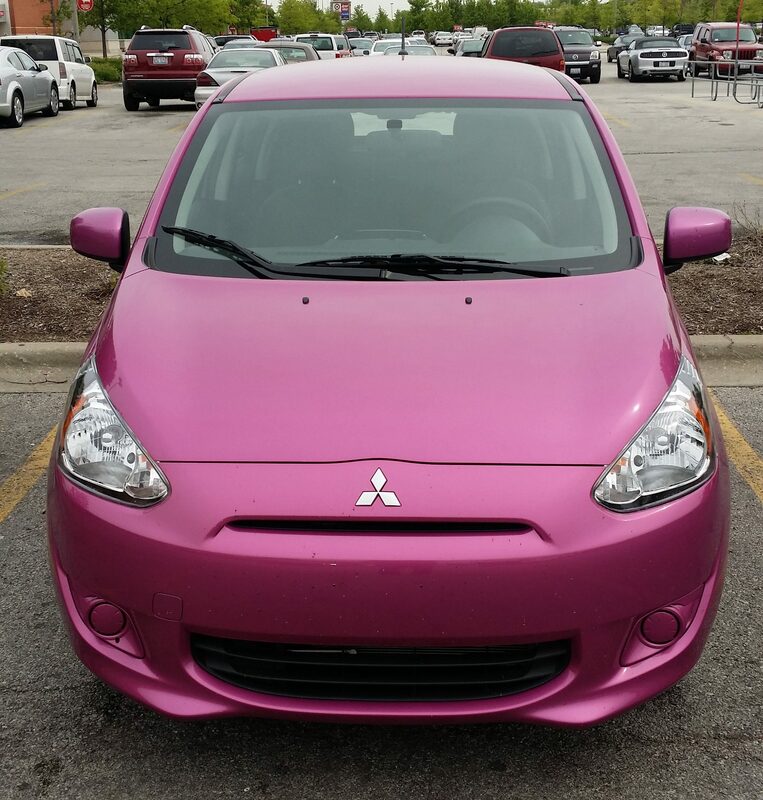 The only extras they have are the bluetooth sync and a great sound system. The price point starts at $15k and the gas tank makes you want to hug it. I went from Chicago to Michigan and almost back to Chicago again without having to fill up, and when I did, it was less than twenty bucks. We arrived on the asparagus farm after seeing a packing plant, and this is how it looked. 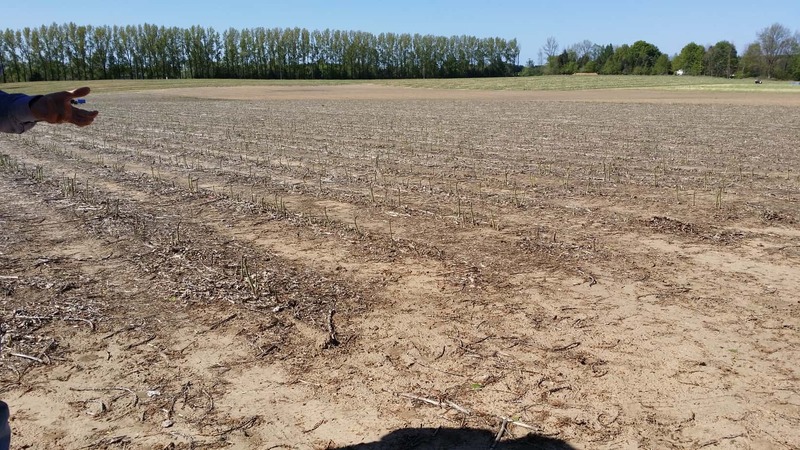 You can’t really tell that there are asparagus stalks as far as the eye can see, but there are! If you look right in the hand of our tour guide, you’ll see the truck that the asparagus pickers are driving carefully down each row, to snap the stalks off. Did you know that Michigan asparagus is the only asparagus that you don’t have to cut the bottoms off of? Every piece is edible, and that’s because the asparagus is hand-snapped as opposed to dug up. Great way to save money! We stopped first to check out a packing plant (sorry guys, no pictures in there) to see how asparagus was separated, classified and packed. Did you know that most asparagus is packed within 4 hours of being picked? 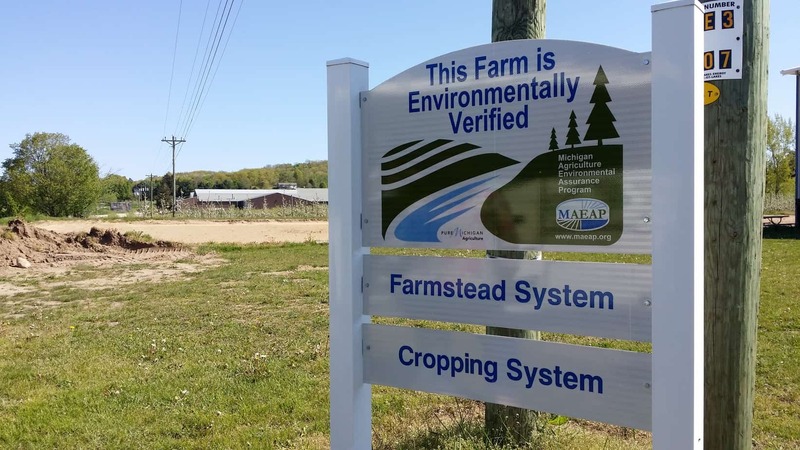 This allows for consumers to get the freshest asparagus possible. Another great tidbit is the fact that asparagus can grow up to an inch an hour in favorable weather. Essentially, pickers can pick an entire field, and go back to pick another round if they wanted. 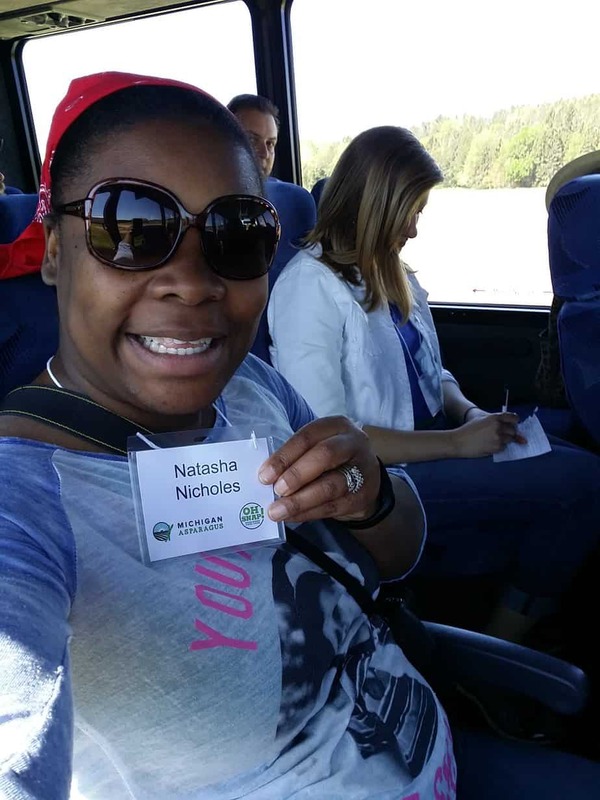 I haven’t been on a farm tour since my days in the Illinois Farm Families program, and it was just as early, but just as exciting. As you can see by my pride in wearing my name badge. After touring the packing plant, and asparagus farm, we headed out to an asparagus research facility for a tasty lunch. Asparagus was in every item that we had from appetizer to dessert, and they all tasted phenomenal. I’m not too sure that I would serve my family the asparagus ice cream that we had, but I loved it. Another tidbit of information, did you know that most of the asparagus that you consume are male, and that asparagus are one of the few plants that have a male and female stalk? Usually, pollinators have male flowers and female flowers on the same stem, not so for asparagus! 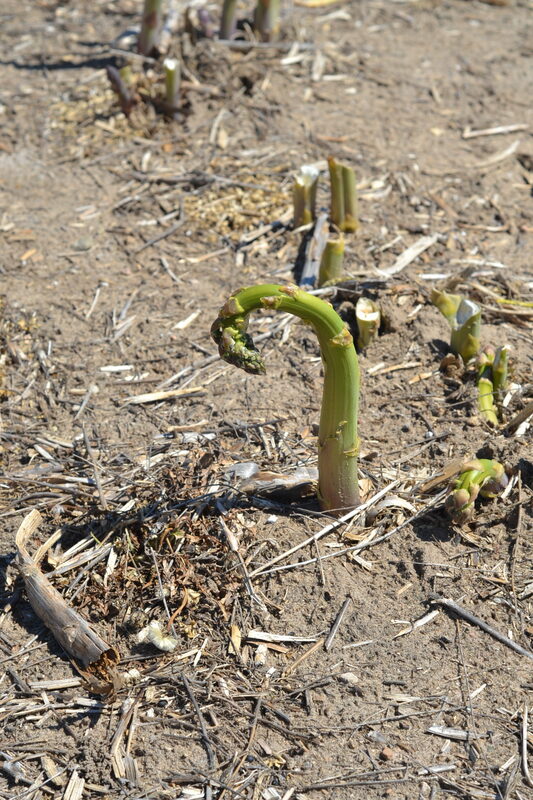 Asparagus also grows crooked when an extreme cold front comes in, and a warmer day follows right after. It’s kind of neat. If there is snow, or a frost date, the asparagus wilt or bend under the snow, and the rest of the stalk grows straight when it warms up. They are still edible, but we come from a society that likes pretty fruit and vegetables, so yeah. 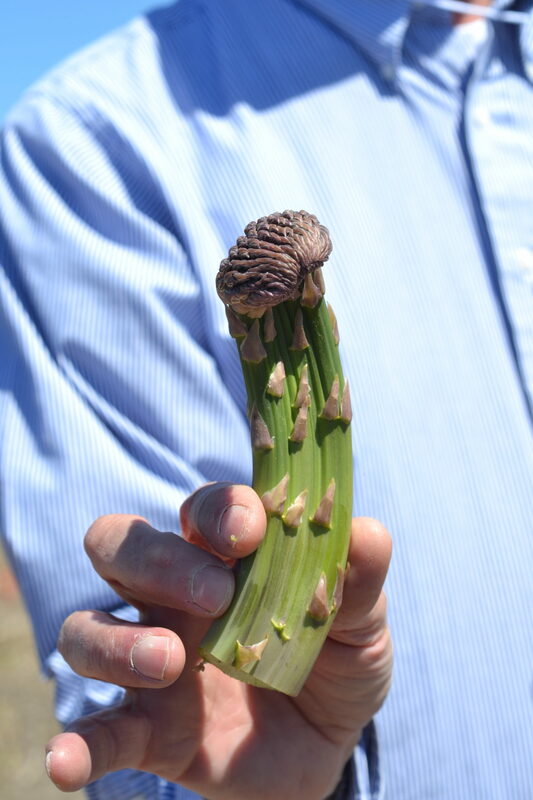 Below, you’ll see another variation of a not “cute” asparagus stalk. It’s what happens when two or more asparagus stalks fuse together below ground. It’s actually pretty neat! Did you ever wonder why you need to keep your asparagus cool when you purchase it? It’s because it has the highest respiration rate of any vegetable, and loses more water the warmer it is. It’s also why it’s always standing in a bin of ice water at the grocery store, or should be. I’m pretty lucky that my local farmers market sells asparagus at the start of the official market season. Now that it’s getting hot, I’ll have to purchase from the grocery store. Bummer. All in all, I enjoyed learning about the growing process, especially since I want to grow asparagus in my community garden one of these years. Starting from seed will require three years before harvest, but getting an asparagus crown will knock one full year off! Decisions, decisions. I had quite a few as I packed up my gear and headed back to my homestead. This trip was sponsored by Michigan Asparagus, and my transportation was sponsored by Drive Shop USA. All thoughts and opinions come straight from this mama!